The 13th annual Les Nouvelles Esthetiques Spa Awards hosted by Les Nouvelles Esthetiques South Africa in association with Les Nouvelles Esthetiques Paris, was held on Sunday the 25th June 2017, at the prestigious Maslow Hotel, Sandton. Johannesburg. The Les Nouvelles Esthetiques Spa Awards Gala Dinner evening was filled with excitement and glamour as some of the industries most respected and well-known names and media came together to acknowledge their peers. Si-anne and Funeka entertained guests, while enjoying a delectable 3 course dinner, followed by the awards presentations and an evening of dance and celebration. The 2017 Spa Awards consisted of six (6) Categories, namely Day Spa, Hotel Spa, Boutique Hotel Spa, Unique Spa Concept, Safari Spa and Aesthetic/Medi Spa categories. 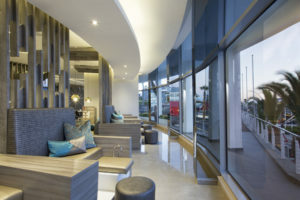 Situated in Cape Town’s most sought after tourist destination. Enjoy the pure luxury surrounded by exquisitely appointed marble, glass and wood finishes. Take a journey through remarkable water features and enjoy the glow of natural light as you soak up the serene atmosphere. Life Day Spa extends over 900sm of space and includes nine treatment rooms, two couples suites, a 10-station Nail Bar and an opulent Relaxation Lounge. Facilities consist of a Heated Tranquility Pool, Middle Eastern Mud Ritual Chamber and Floatation Pool. Life Day Spa Waterfront is a proud member of the Spas of Distinction Collection and sister-spa to the Life Day Spa Rosebank, Fourways and Life Day Spa Crystal Towers. Finalists: Aronia Day Spa situated in Houghton, Johannesburg. The spa was developed as a sanctuary to remind us that nature surrounds us, lives in us & we live in nature. The distinct spa rituals treat the senses to a journey of self-discovery through the Aroniatherapy Gardens. Hydrotherapy features include a heated outdoor swimming pool and Rasul chamber. Unique add-on experiences include shirodara, vichy and ayurvedic treatments. Natural Living Spa and Wellness Centre, the bushveld inspired Spa in Polokwane, is a luxurious, tailored-to-perfection destination for well-being. The urban retreat features 8 state of the art treatment rooms – including a deluxe couple’s suite – all circled around our beautiful outdoor pool area. Senses Day Spa is set in park-like surroundings in Pietermaritzburg. Senses Day Spa offers guests exceptional personalised service, designed with their clients in mind. Each room is designed for optimum relaxation and the garden is a tranquil setting where clients are able to enjoy some quiet time. The 700sqm two-floor Saxon Spa is an oasis of wellness, taking guests on a holistic journey incorporating sound, touch and sight, blending modern understanding with ancient techniques to balance energies and restore wellbeing. The Saxon Spa incorporates dark wood, copper, linen and water throughout, in addition to the healing properties of Himalayan salt incorporated into the design as well as therapies. The Spa incorporates a total of eleven treatment rooms; including an all-glass couple’s treatment room, manicure and pedicure areas, hair spa, sleep zone, spa dining area, organic juice bar, steam room, heated hydro pool, wet treatment zone, hammam centre, heated outdoor plunge pool, sauna and an outdoor treatment zone. Finalists: The Spa at The Oyster Box Hotel is tucked away amongst the lush indigenous gardens of one of Africa’s most distinguished hotels. The combination of colonial charm, impeccable service, lush tropical gardens and breathtaking seaside setting has gained it a legendary reputation worldwide. The spa facilities include an extensive range of carefully crafted treatments, 6 treatment rooms, 4 sensational showers, 2 hydrotherapy baths, a well equipped private fitness club and two swimming pools. The Hammam offers guests the option of traditional Middle Eastern treatments. The Spa at Fancourt is located on the Fancourt Estate in George. Its range of holistic skin and body treatments are complemented by hydro facilities, which include a Roman Bath and jacuzzi, sauna, steam room and tepidarium. Infused with an appreciation for nature’s organic rhythms, each treatment package encompasses an aspect of each of the elements to provide a holistic experience. Amani Spa at Radisson Blu, Cape Town situated along the Atlantic Ocean. The Amani Spa creates an exceptional spa experiences, with its trendy wellness facilities, diverse range of result-driven spa treatments and attention to detail. With eleven multi-functional treatment rooms, including two couple’s suites, unique therapeutic Salt Room, Hair Salon & Nail Bar, grand Rasul, a heated vitality pool with surrounding relaxation deck and loungers, they are able to tailor make spa packages for each & every occasion. Situated in one of the most heavily vegetated and indigenous areas of Cape Town, the Constantia Valley is a diverse, historic region and home to popular wine routes, forests, plantations and the beautiful Constantia Nek Mountain walk. At Fresh Wellness one is surrounded by the lush gardens of the world renowned, five star Cellars-Hohenort Hotel. The treatments encapsulate all five senses to imitate the surroundings. 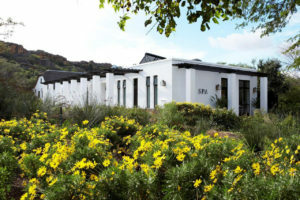 Using oil from the Stellenbosch vines, authentic techniques and various natural elements, the Fresh Wellness spa guest can be assured an experience that will be as a revitalising experience. Finalists: Silver Forest Spa is a luxurious and tranquil private Boutique Lodge and Day Spa, located on the slopes of the magical Helderberg Mountain in the Cape Winelands. Offering a refined experience and an escape from the ordinary, guests are embraced by the nurturing effect of being surrounded in nature, succumbing to the peace of the surroundings. The Day Spa, offer a comprehensive array of treatments, complemented by use of the exceptional Thermal Suite. 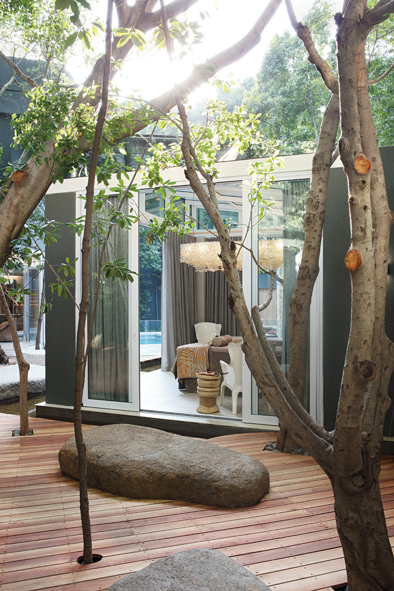 Ginkgo Petite Spa at The Andros Boutique Hotel is situated in the beautiful gardens of the 5-star Deluxe Boutique Hotel in Upper-Claremont, Cape Town. Built in 1908 in a classic Cape Dutch style and surrounded by manicured lawns, you could be forgiven for feeling like you are stepping onto the set of a period movie. This little jewel is a well-appointed 3-roomed sanctuary that specialises in anti-stress massage treatments like the Ginkgo “Elixir”© Signature Massage. Bushmans Kloof Wilderness Reserve & Wellness Retreat, is an extraordinary haven, nestled at the foothills of the Cederberg mountains, and the ideal wilderness getaway to escape, restore and relax. The reserve is a natural playground for those who want to reconnect with themselves, with wide open plains, mystical rock formations, crystal clear water falls, and an abundance of flora and fauna. The spa is a sanctuary to wellness, well-being and holistic healing, where one’s spirit, mind and body can truly let go, and soothing pampering and restorative treatments. Treatments can be enjoyed either in your room, on your own private veranda or even in some of the cool, rocky shelters that were home to the San thousands of years ago. Finalists: Etali Safari Lodge & Spa, located in the heart of the spectacular Madikwe Game Reserve. Embraced by pristine bushveld nurtured by Africa’s rich red soil, Etali Safari Lodge is built in harmony with nature. It is an exclusive, intimate haven, where clients are rejuvenated in surroundings created by people who understand luxury. Etali’s Wellness Spa is unique in concept. 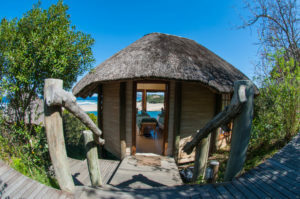 The design and layout of the cool, thatched, secluded Wellness rooms, allowing guests to hear the echo of the elephants around the water hole and the weaverbirds tapping on the windows. Nestled high on the Umngazi hillside, the tastefully decorated Cape Cod Style Spa blends in effortlessly with the beautiful, natural surroundings. The Spa offers four private and tranquil treatment rooms, each with breathtaking panoramic views of the Indian Ocean. Here, guests can enjoy a selection of treatments whilst listening to a soundtrack of nothing but breakers and bird calls. Finalists: Woodlands Spa, is situated on the banks of the Crocodile River in the heart of Muldersdrift. The spa is the perfect setting to escape the busy city life. Guests can soak up the peaceful energy on the deck, overlooking the Crocodile River or enjoy one of the bespoke spcialised spa programs designed to guide guests in choosing an experience best suited to their particular needs. Mukda Thai Spa is situated in the picturesque Gordons Bay offering an authentic Thai Wellness experience, beyond expectation. Mukda Thai Spa focuses on a holistic approach based on traditional eastern healing therapies. They have developed a concept of signature treatments, where guests can enjoy all the pleasures of a Thai Spa, such as Thai Lotus Hot Oil Massage and traditional Sabai Thai Foot Massage, combined with the charming touch of Thai hospitality, to make it an unforgettable experience. Fusionista Spa – a combination of different worlds, with an eastern flair in Randburg. The spa boasts a number of themed roomed – the bamboo room, wind chime room, Koi mist, candle room, and outide treatment room with a glass floor and koi fish swimming below. Tradlitional thai massage is a signature, but the menu of other offerings is extensive. After you spa visit, also enjoy a signature thai dish at the restaurant. The Laser Beautique was established in 2009, and currently has 10 branches situated in Cape Town, Centurion, Johannesburg and Pretoria. 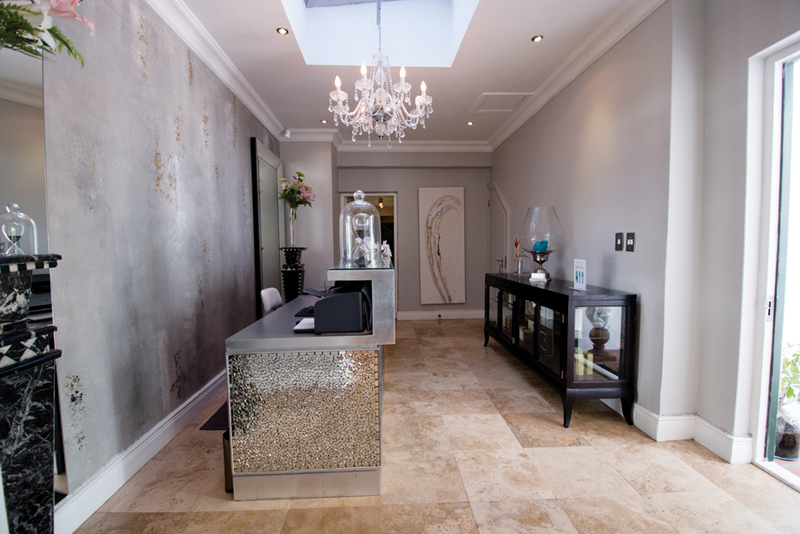 Their primary focus is to offer the safest, most advanced and effective treatments. The Laser Beautique is committed to the safety and well-being of their clients, to constantly evaluate unique and new technologies in the global aesthetic market and offer clients the very best in pioneering and effective treatments using laser, light-based and radiofrequency equipment. 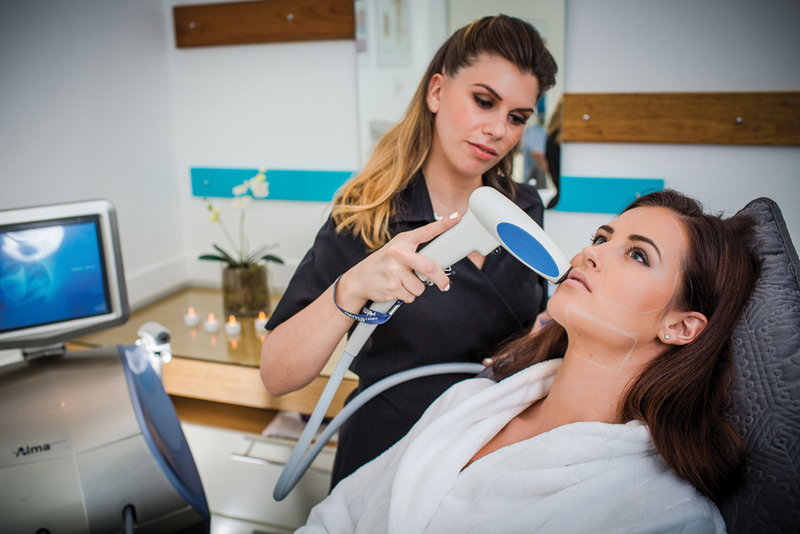 During the consultation clients concerns and expectations are thoroughly discussed with an explanation of all possible methods of non-surgical make over. 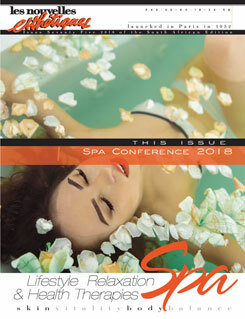 The Spa Ambassador Award goes to a person who has made the industry proud and whose presence in the industry is noted. The Spa Ambassador Award 2017 was awarded to Lisa Smit – LS Enterprises / Theravine and Corli Schoeman – Niche Spa Consulting. Lisa Smit worked with various different sectors to formulate the TheraVine™ Skin and Body Care Range as it is seen today. Development and research started in 1989 where she worked with top international development chemists, viticulturists and botanists from the University of Stellenbosch in South Africa. Today sold internationally and bringing a great amount of attention to the botanical values of South Africa. Corli Schoeman, a dynamic and enthusiastic person with extensive experience in the spa industry as a manager of Pezula Spa and Tswalu Safari Spa to name a few, including winning the spa management excellence award previously and now Niche Spa Consulting. Corli leads the SA Spa Association in the Garden Route area, which has shown the greatest growth in 2016 /7, creating a united spa team: each spa has been visited and advice shared, regular networking events organised, including Global Wellness Day, in which each spa in this area participated. The Spa Humanitarian Award is awarded to a person / group who by definition is actively concerned in promoting human welfare. The 2017 humanitarian award was awarded to 2 people: Nicolette Henderson, owner of Tranquility Health and Beauty in Westville She has hosted a number of charity drives to the benefit of animal welfare as well as the underpriveldged communities, given free talks to schools and colleges on entrepreneurship and chairperson of Durban Young Entrepreneurs. She is an inspiration and a role model for young people in the community. Taryn Lilley, Spa Manager Cape Grace Spa. Taryn inspires and motivates her team at the Cape Grace Spa beyond the call of duty and contributes to the spa industry, through her writing, consulting and participation on the South African Spa Association Board. Additionally Taryn has participated in Global Mentorship Program in all 3 sessions, first as a mentee and then twice as a mentor, sharing her experience and knowledge freely to facilitate industry excellence. Spa Visionary Award is awarded to a pioneer within the Spa Industry. A person who whose ideas over the past year have lead to a change in the spa industry or spa industry thinking. The Spa Visionary Award for 2017 was awarded to Renchia Droganis – Africology. Renchia started her career as a life coach and holistic healer. After she trained as a Reiki master and aromatherapist, she incorporated homemade, bespoke skincare products that contain essential oils in her therapies leading to the launch of Africology, which has grown steadily since its beginnings in 2001. However, what has made Rechia unique in her approach, is she has still today continued including wellness therapies into her company, staff training and even the new Sound Garden in Knysna. The Spa Management Excellence Award is acknowledges the dynamic spa manager who best keeps the balance between a motivated team, good working environment, superb guest experience, profitability, and efficient spa operations, with appreciation of the role of the spa manager is one of the most challenging in this industry. The winner of the Spa Management Excellence Award 2017 was Nadia Rudolph, The Spa at Fancourt. Nadia leads her team with confidence and professionalism, through example and encouragement, further complemented by an extensive development program to facilitate the growth of her team. The spa under her guidance has additionally shown refinement over the years with consistent high occupancy. 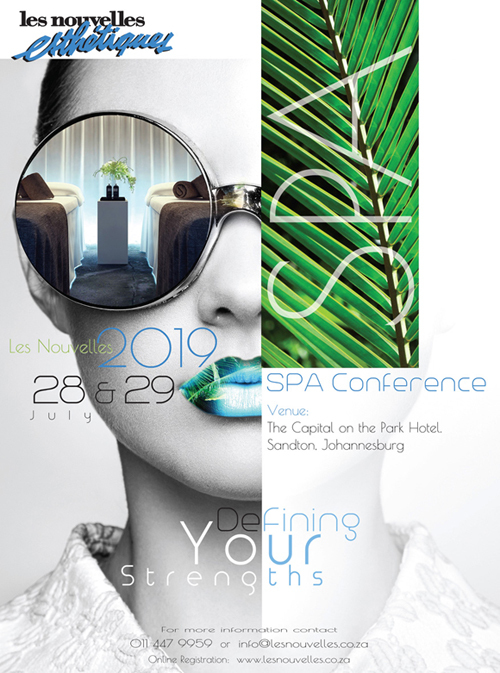 We look forward to hosting the Spa Awards in 2018 and Spa Recognition Awards 2018, as South African Spas and individuals continue to flourish in an internationally growing market place.